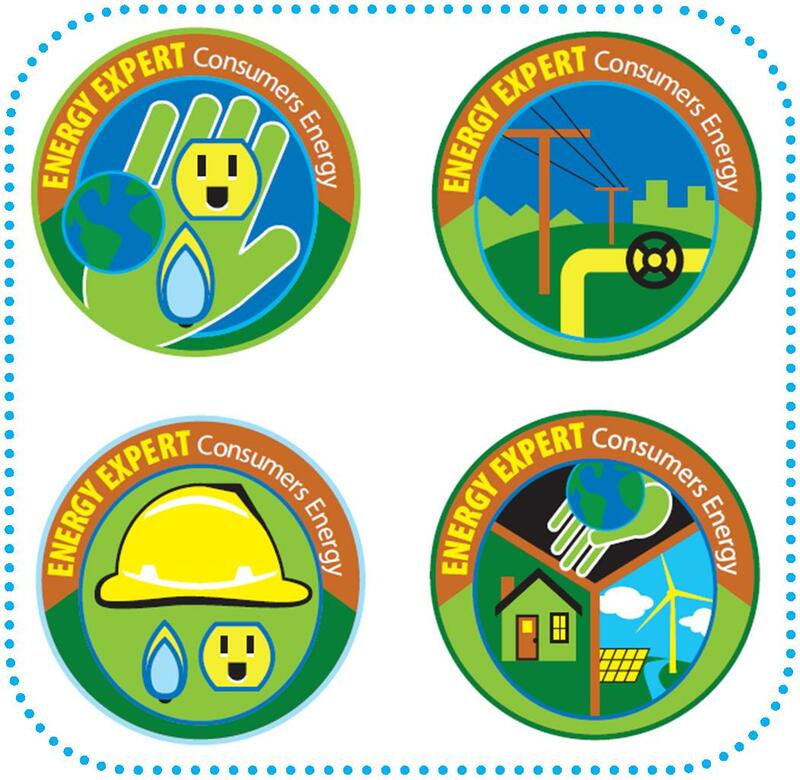 Does your scout want to earn a free Energy Expert Patch ? Download the leader guide and workbooks for each cub here. Order your free patches here after completing your workbook. *Due to the overwhelming number of requests, the Webelos patch is currently back ordered and may take longer than 2 weeks to arrive. Write a one-page report titled “The Best Book I Read This Year” and enter it in the Boys’ Life 2013 “Say Yes to Reading!” contest. First-place winners in each age category will receive a $100 gift card from Amazon.com. Everyone who enters will get a free patch. Entries must be postmarked by Dec. 31, 2013. Netsmartz® has created a Scouting portal showcasing Cyber Chip resources, including grade-specific videos, for each level. Topics include cyberbullying, cell phone use, texting, blogging, gaming, and identity theft. 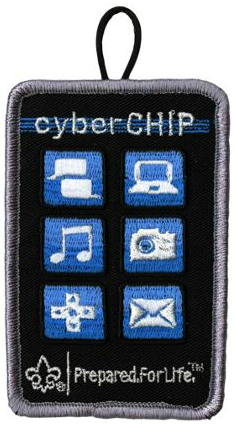 The Cyber Chip joins the Totin’ Chip and Whittling Chip as important safety tools your Scouts should earn and carry with them. Find out how you can earn the Cyber Chip emblem by visiting the BSA Cyber Chip website. Make imagination your destination! Join Mickey Mouse and Minnie Mouse on a journey into the magical worlds of Disney’s The Little Mermaid, The Lion King, Peter Pan, and Lilo & Stitch. Discover Ariel and Sebastian’s enchanting undersea kingdom; visit the Pride Lands with Simba and Nala; soar through starry skies with Peter Pan and his sassy fairy friend Tinker Bell; and say “aloha” to fun with Lilo and Stitch. You'll be captivated by the music, beauty and laughter in a journey so magical, you’ll never want to go home. Click here for detail and ordering form. The world’s most prestigious, indoor off-road motorcycle championship, will showcase AMA Supercross Lites and AMA Supercross class racing Saturday, January 29 at Oakland-Alameda County Coliseum. Reigning AMA Supercross class champion Ryan Dungey will stage his title defense against the world’s greatest racers, including James Stewart, Chad Reed and Ryan Villopoto. Click here for detail and ordering form. The first Scout Night of the season with the Sharks is almost here! Your San Jose Sharks including Joe Thornton, Patrick Marleau and Dan Boyle will take on Bobby Ryan and division rival the Anaheim Ducks! So come out and support your San Jose Sharks by taking advantage of this special offer! Special preseason discounted ticket to the game! 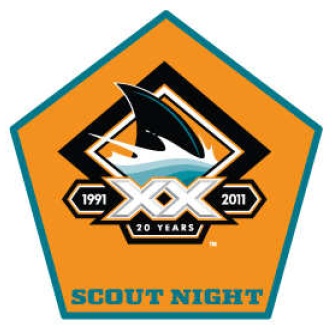 Commemorative San Jose Sharks Scout Night patch! Groups of 25+ get a video board announcement! See flyer for detail and ordering information. The National Park Service & the Boy Scouts of America team up to bring you The Scout Ranger Program, a new, NPS-tailored certificate/patch program for Boy Scouts, Cub Scouts and Venturers. Designed to increase scout visitation to national parks. Promotes a better understanding of the NPS mission among scouts and their families. Educates young people about their responsibility in conserving our natural and cultural resources. Encourages volunteer service and promote good citizenship. Scouts earn certificates and/or patches by participating in educational programs or volunteer service projects. Find out the specifics from the program flyer and website. Save the date for Scout Day at Schulz Museum on October 23, 2010. Scouts will explore the Museum's newest exhibition, Peanuts...Naturally, and complete a variety of hands-on nature-related projects. $10 per scout. Ice-skating at Snoopy's Home Ice included. Advance reservation required. Go to the Museum website for detail. 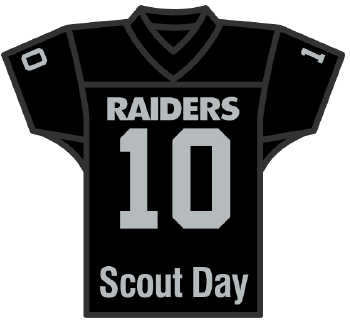 Also coming up is Scout Day with Oakland Raiders on November 7, 2010. Uniformed scouts and leaders will receive a commemorative Raiders Scout Day patch, and be able to participate in pregame on-field activities. See flyer for more information. 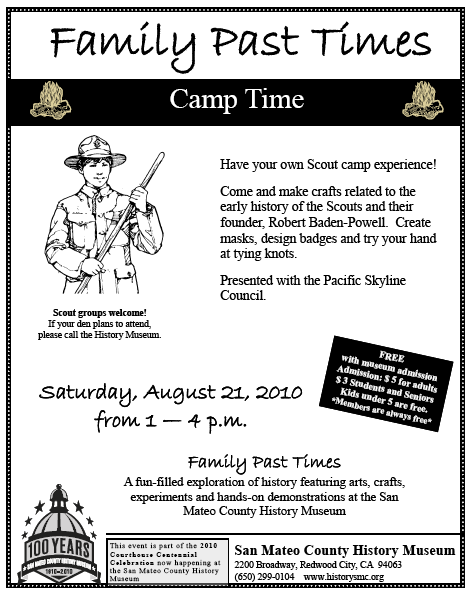 San Mateo County History Museum has partnered with Pacific Skyline Council in celebration of the Scouting Centennial and set up exhibits to showcase Scouting in the early years. This exhibit is available until the end of the year, but Scouts can enjoy it for free on August 21st. See the following flyer for more information. San Mateo County History Museum is also one of the three museums that you need to visit to earn this special Museum Tour Patch. Download this passport, bring it to the museum and have it stamped. 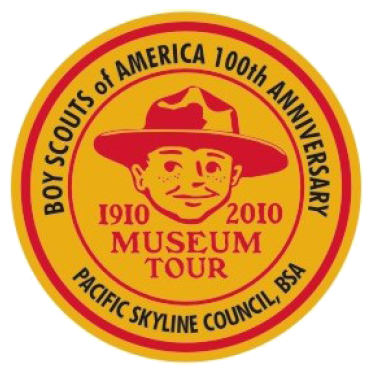 After visiting 3 participating museums, parents can purchase the Museum Tour Patch for $1 at the Scout offices in Palo Alto (map) or Foster City (map). P.S. Visiting a museum also satisfies one of the requirements of the Collecting Belt Loop. We had a fantastic week at Meridian's Cub Scout Camp held at Little Hills! This year the theme was "Cubstruction" and ran from 9 am to 3:30 pm for 5 days from June 21 - 25th. The camp ended early at 2 pm on the last day with ice cream while watching skits. Our skit was one of the six they picked out of 25 units to perform for the camp. Yeah! I found that camp director Brian Wort headed up a very well run camp with plenty of volunteers and junior helpers too. They required one adult volunteer every day for every six scouts attending. I was there every day. Lisa Cheney and Cubmaster Emeritus Ed Laubach volunteered on Monday. (Thank you so much!) All volunteers were required to take Youth Protection Training and attend a 1 1/2 hour Camp Training Meeting. All of the six above earned the Archery Belt Loop and the BB Gun Belt Loop. 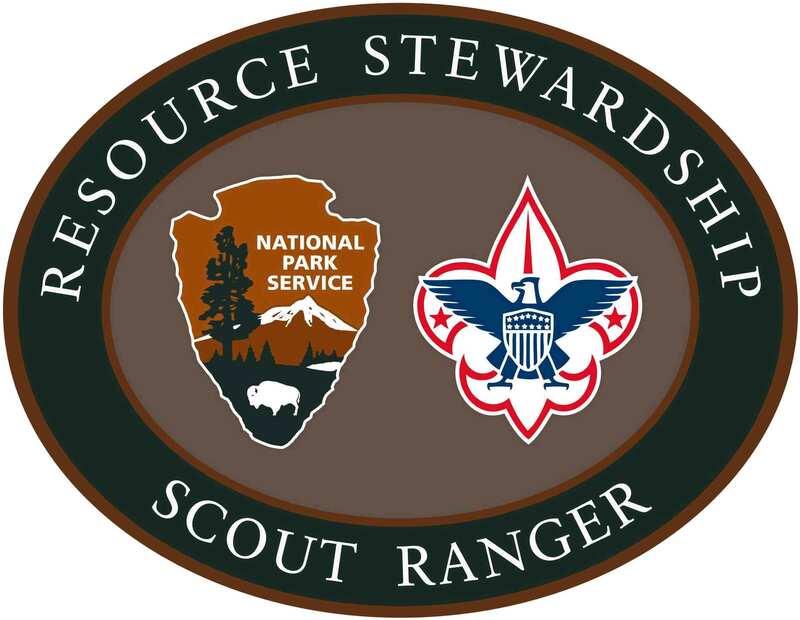 Each scout also received a Cubstruction Patch. It was a great week. I look forward to next year. Thanks. Summer is always a great time for enjoying the outdoors. 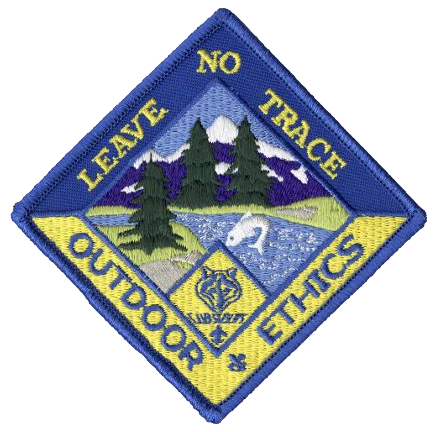 Whether you are going hiking, camping, or geocaching this season, why not practice Leave No Trace and earn a patch? This inspiring video from NPS will get you started on the principals right away, and you can find more information at the following websites. Or maybe you are a seasoned veteran looking for ways to broaden your contribution? Then don't miss the LNT Master Educator's Course coming this August. Find out more from this flyer. Enjoy, and happy 1st day of Summer.